You’ve been mulling over it for months. And you’ve finally made a decision. You’re going to put in a more organized effort with conversion rate optimization to improve your conversion rate and your overall performance. Whether it’s for your marketing emails, landing pages, ads, or even CTA buttons; copy matters. It’s the channel through which you make a case for the product or service you’re selling. And if your case is weak, there’s not much chance that you’re going to drive sales. This is why copywriting is considered such an essential element to improve conversions. A case study conducted by Growth Rock illustrated how optimizing copy boosted conversion rates by 13.9%. Optimizing copy for conversions isn’t just about writing a compelling piece of content. It also involves SEO, which is necessary to boost visibility in search engines. The higher your visibility is, the better your chance of driving more traffic. And this increased traffic improves your chances of driving conversions. In fact, a Fat Cake case study found a 54.42% increase in organic search traffic, and a 16.30% increase in conversions after optimizing content for SEO. 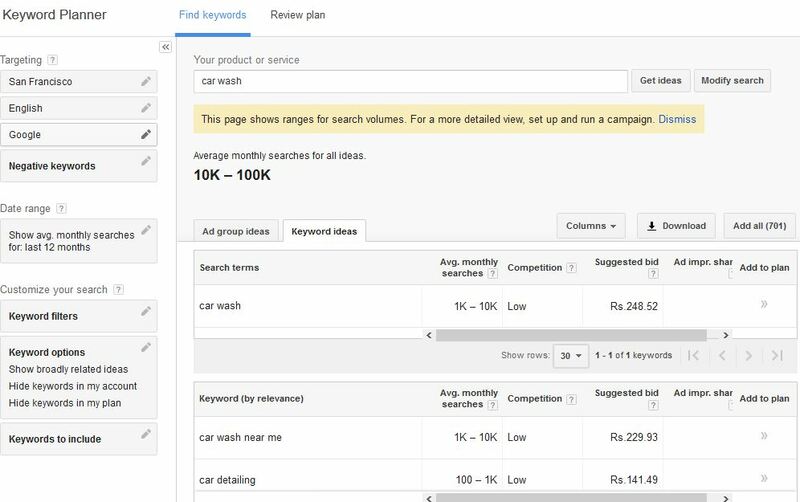 To optimize your copy for SEO, you need to search for high-ranking, low competition keywords using the Google Keyword Planner tool. The tool provides you with keyword ideas when you enter a term or word relevant to your business. You can then use those keywords to optimize your copy on your webpages and landing pages. Your copy should cut to the chase. In other words, it should be direct about what you wish to convey, and what you want the reader to do. Avoid being too wordy and using unnecessary fillers. You basically need to keep things as simple as possible. Take a look at the following copy on Piktochart, for example. 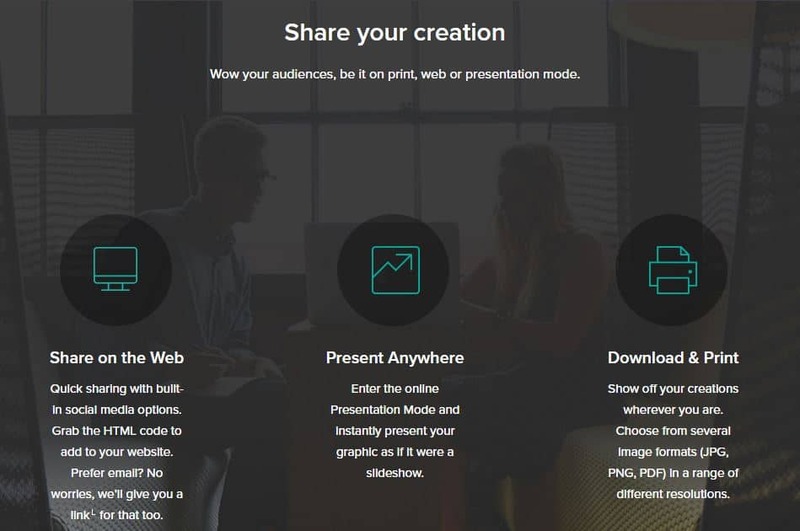 They give users three options to share their creations. And for each sharing option, there’s a clear, brief description. Your call-to-action (CTA) copy should be short and assertive. It should clearly and firmly tell people what they need to do. Preferably, it should tell them what they can get out of the action. 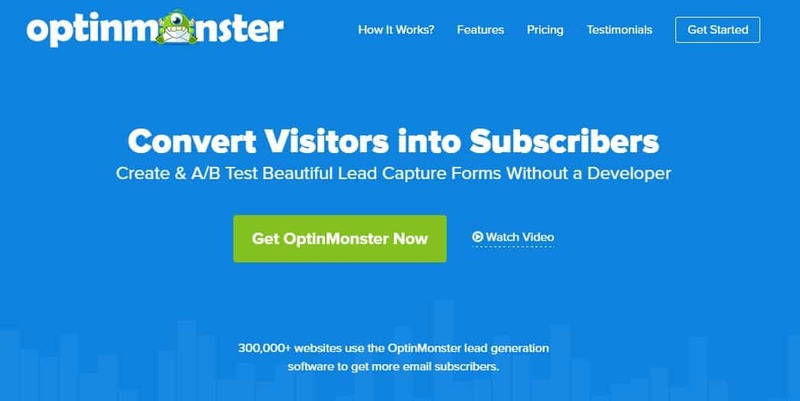 Some examples of compelling CTA copy are, “Get free access,” “Complete purchase,” and “Get your free copy.” Each of these CTAs tells people what action they should take in just four words or less. The CTAs on Unbounce are excellent examples of assertive call-to-actions. As you can see below, each CTA is short, and clearly states what people will get when they click. 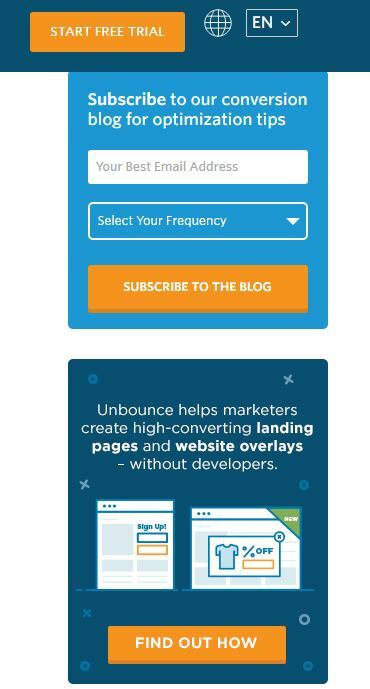 They invite people to, “Subscribe to the blog,” or “Start free trial.” And in one CTA, they encourage people to, “Find out how,” Unbounce helps marketers create high-converting landing pages. Use your copy to add a personal touch to your communication with potential customers. Make your copy more personal by using second person pronouns whenever applicable. By using “you” and “your” at the right times, you can shift the focus to the reader, and speak to them directly. 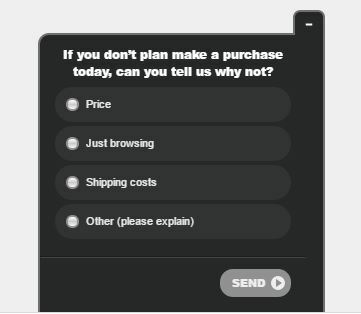 Take a look at the following screenshot from SurveyMonkey, for example. The copy uses “you,” once and “your” four times. The focus is on the reader, and what they’re going to get out of the SurveyMonkey features. These are the most important steps to optimize your copy to improve conversion rate. But you still need to follow copywriting basics, such as perfect grammar and sentence structure. 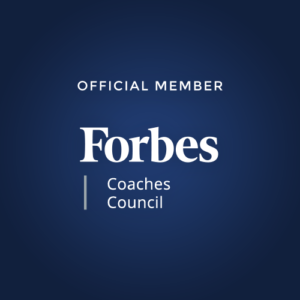 You should also use a positive tone to connect with your audience’s positive emotions. Over the years, you’ve probably come across a website or two with a terrible design. Maybe the images won’t load, you can’t find what you’re looking for, or the overall layout is simply an eyesore. Web design plays an important role in influencing people’s decision to stay on a webpage. In fact, Adobe found that 38% of consumers will stop engaging with a website that has unattractive content or layout. If your website visitors aren’t engaged, there’s a high probability that they’ll leave your site quickly. That means you’ll lose an opportunity to make a sale. The importance of design to improve conversion rate cannot be stressed enough. Your website content should be easy to read. This means you need to use fonts that are the right size and clearly visible. And you need to make sure the background and font colors complement each other. Proper paragraph spacing and text layout also are crucial for improving the readability of your website. The OptinMonster homepage is an excellent example of a webpage with good readability. As you can see, there’s a clear contrast between the font color and the background color. The font style and size are also easy to read, which improves the design of this webpage. You may have a killer website design for desktop users. But what about users who are visiting your site through smartphones and tablets? Will they have to zoom in to read what’s on the page? Or will they have a hard time navigating the site on mobile? To improve your site design to increase your conversion rate, you need to improve it for all devices. That means you need to switch to a responsive web design. 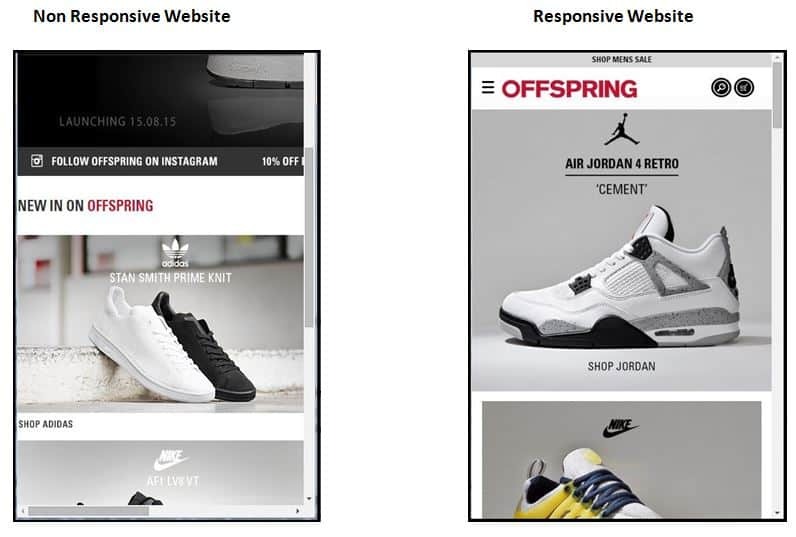 Responsive website designs have been proven time and time again to help improve conversion rate. A Moz case study showcased how Offspring boosted their site usability and conversion rate after switching to a responsive design. Their mobile/tablet conversions jumped by 15.19%, and their year-on-year mobile/tablet revenue increased by 102.58%. Simplicity is another crucial element for improving your site design. A page cluttered with unnecessary elements can be distracting. And people may deviate from the actual purpose of the page. Try to keep only the most essential elements on each page. That includes copy, images (when necessary), a search box, and a navigation bar. There may be other crucial elements, depending on the products or services you sell. Take a look at the homepage of Beauty Bay, for example. There’s a high-quality image of a featured cosmetic line. And there’s a text overlay with the brand name, and the offer. There’s a CTA button that encourages shoppers to, “Save now,” and there’s a search box at the top. In addition to this, they have a responsive navigation button, which users can expand and collapse at will. The overall layout and design is simple and easy to navigate. The page also has additional elements, like “Account,” and “Bag,” which are neatly arranged at the top. But there is no clutter to distract visitors from their shopping. And minimal distractions means higher conversion rates. Make it easier for people to navigate your website by having a proper site structure. The structure of your website should make sense to everyone who lands there. Neatly categorize your products, and make sure every sub-page can be found under a relevant page. The last thing you want to do is confuse your visitors, as they may end up leaving instead of converting. This is especially important for ecommerce websites that have tons of product pages to categorize. Nordstrom does a great job of this. As you can see in the screenshot below, they have standard categories such as men, women, accessories, kids, etc. They also categorize products based on trends so people can discover items that are currently trending. Your images need to be high quality, and clearly depict what you’re selling. But high quality images normally mean larger files, which can slow down your page load speed. And a slow loading page could result in lost conversion opportunities, as many visitors may not feel like waiting for the images to load. You can try compressing images to minimize their size without losing the picture quality. Analytics are a crucial component of conversion rate optimization. To improve your conversion rate, you need to make certain changes on your site. But you can’t just jump in and change every single aspect of your website. To make your job more efficient, you need to identify which areas need improvement, and which elements need testing. And that’s where analytics enter the picture. Analytics help you figure out what’s driving visitors away so you can develop a strategy to make them stay. You can also determine what visitors are looking for when they land on your page, and how you can give them what they want. 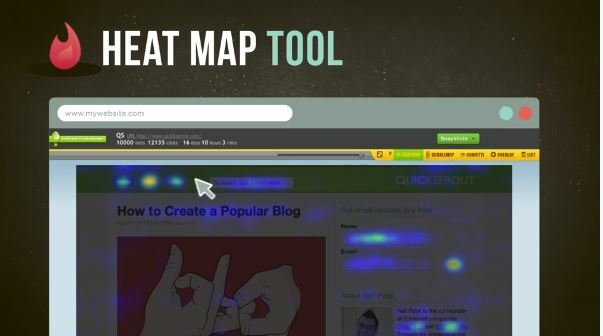 Heatmap tools like Crazy Egg can provide you with crucial data regarding how users behave on your site. The tool helps you figure out where users are clicking on your site, and where they aren’t. You can also discover how people scroll through your pages, and where they normally stop. By understanding all this, you can find out which elements aren’t getting enough attention. And then you can use these insights to better engage site visitors, which can improve conversions. For example, maybe you find out that visitors keep scrolling past your CTA button. What if you made some changes, and placed the CTA button in a more visible location? That simple change could be enough to improve your conversion rate. Google Analytics is a highly effective tool for analyzing website traffic. You can use it to see which keywords are most effective for drawing in traffic, and which ones aren’t really serving a purpose. And you can then use these insights to optimize your content for visibility to boost conversions. Google Analytics can also help you track the conversions on your site, and identify which pages are falling behind on your conversion goals. Based on those findings, you can then determine which pages need to be prioritized in your conversion rate optimization strategy. You can also use this tool to discover information like bounce rates, and user demographics, as well as what types of searches people are conducting on your site. 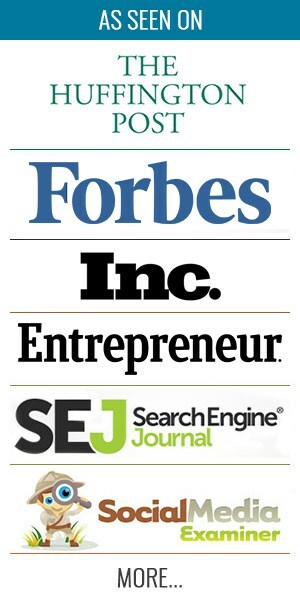 All of which can help you improve your conversion rate. The first two tools can provide you with interesting insights about how users behave on your site. But they may not help you understand why users are behaving that way. For example, you may learn how many people are leaving each page, and when, but you won’t know why they decided to leave. A basic customer survey can help you better understand your site visitors, and why they behave the way they do on your site. Tools like Qualaroo can be used for conducting simple surveys when customers visit your site. Through surveys, you can find out what people don’t like about your site, what difficulties they’re facing, and why they’re not converting. And all of these insights will come straight from the mouths (or fingertips) of your visitors. So you won’t have to make assumptions when working to improve your conversion rate with page redesigns or other CRO tactics. You’ll know exactly what’s preventing people from converting. These three CRO essentials can help you improve conversion rate significantly. And they’re the elements you must prioritize before anything else, even if you’re not sure where to start. Do you have any questions about the tips provided here? If so, feel free to ask them in the comments below. Or if you need a more comprehensive guide to improve conversion rate, just let me know.